Triathlon is about so much more than putting together a strong swim, bike and run. It’s about looking at the big picture and the process of setting goals, being determined to reach those goals and most importantly, believing in yourself and the learning that takes place along the way! Carly is structured, data-driven, and supportive in her approach to coaching. Fully customized training plans that fit your schedule and goals while maintaining life’s balance. I believe the true art of coaching is taking time to really understand the athletes I work with and their personal needs. I view consistency and communication as the two most important variables in determining success. Doing the hard work of committing to a personalized training plan and communicating regularly and openly with your coach reduces the probability of setbacks, accelerates fitness and keeps you motivated. Only by pushing your limits and hitting key targeted workout will you be able to make your goals a reality! Helping you reach your goals is my goal; we are in it together! To be motivated and willing to bring a good attitude and work ethic to training! Success. Coach Carly Guggemos has been notified of your message. 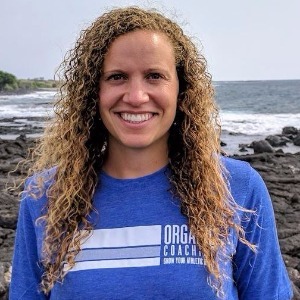 To hire Carly Guggemos as your coach, select the coaching service that is right for you.